← Six of Wands ~ Tarot Card for Friday! This course has given me tons of ideas and shifted my perspective about a few things, which I will be sharing over the next few weeks via my blog. But first I want to give you the scoop on what it’s like learning from Doreen Virtue – what I loved, didn’t love and my biggest takeaway of the day. Luckily, I had already listened to the online version of this course, so I didn’t really miss anything. Radleigh then talked about the structure of Tarot – the Major Arcana, Minor Arcana and Court Cards. After that we paired up and did readings on each other for a few minutes. An interesting tip that Doreen gave was that everything that happens during a reading (like noises, things happening outside, smells, feelings, thoughts) is part of the reading and as a reader it is your responsibility to share that – uncensored – with your client. Doreen calls this technique “bleh” – as if your just vomiting out everything that comes to you, without holding back. She says that our egos try to get in there and censor things, so we should ignore the ego and speak without censoring. I don’t 100% agree with that. I think I would do more harm than good if I just said everything that popped into my head during a reading – I am always putting the intuitive information I receive into a positive and empowering frame for my client – and this requires a certain amount of re-interpreting – so is this censoring? Is my ego meddling with the reading? Throughout the course, Doreen did emphasize the importance of delivering difficult information in a safe, empowering way and she gave some wonderful demonstrations of this during the readings she did for audience members. What I loved, loved, loved about this course was how uplifted and excited it made me feel about doing readings! Both Doreen Virtue and Radleigh Valentine do a wonderful job of inspiring confidence in their students and this alone made the course worthwhile. My only complaint about the course is that it is only just scratching the surface of doing Tarot and Oracle card readings. It is a wonderful introduction to doing readings for others and it whets your appetite for more in-depth information and training. But I would not consider it to be a super-comprehensive course that really truly prepares one to do professional readings. I feel like most people need lots and lots of real life practice before they step out into the professional realm, which is something that a one day course just can’t provide. However, this course is an excellent starting point. The Certified Angel Card Reader Course is also available as an online course. Having listened to the online version as well as attending the live course, I kind of preferred the online classes (Introvert Alert!). I just tend to absorb information more easily when I am not surrounded by hundreds of people. UPDATE: The online version of this course is now a video course and it looks like there’s a bit more info in it than the first audio version of the course that I did in 2012. But my biggest takeaway of the day was this: I don’t have to have everything all figured out in order to give helpful readings to others. When Doreen said this, I felt so relieved! She said that this is just ego getting in the way again – it’s more important to simply be aware of what our issues are. Awareness, not mastery, is what is needed in order to be a guiding light for others. This entry was posted in Saturday Posts, Uncategorized and tagged angel cards, certified angel card reader course, certified angel card reader course review, doreen virtue workshop, how to read angel cards. Bookmark the permalink. Thankfully, some of us have a natural gift and more than enough intuition and insight to read Angel cards rather than pay $500 to take Doreen’s course through HayHouse Online Learning. How OUTRAGEOUS and RIDICULOUS!!! $150 would have been more than a gracious payment request. She and Radleigh are obviously taking advantage of kind people who want to learn this skill in order to #1, help themselves or #2, help others. How is charging someone $500 to learn how to read CARDS – any cards – justifiable??? It isn’t. I don’t care what the course entails. This couple is getting rich off of everyone else’s failure to see that with a little practice and self-study, they can do this on their own! 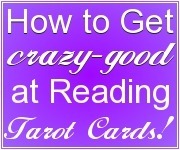 You don’t have to be “certified” to give readings. Keep that $500 because you need it more than they do!!! Thanks for your comment, Onyxx Sky. I have to say, I don’t really agree with you at all! Yes, $500 is a lot to pay for a course on reading cards (I think when I did the online audio version it was $99, but I know they have changed the course to make it a video course and they’ve added way more content since then). However, I don’t think that this makes Doreen Virtue and Radleigh terrible people! A $500 course is worth $500 is there is $500 worth of helpful and useful content. I’ve done online courses that cost thousands (although not for Tarot reading) and I don’t think the teachers of those courses were crooks that were out to swindle me. There is nothing wrong with someone charging money for their teaching skills. No one is being forced to buy this course (its not like when gas, oil and electric companies raise their prices and everyone is forced to pay more) and there are tons of free resources online for anyone who wants to learn card reading but can’t afford to pay for a course. However, I think perhaps what you were really saying is that something just doesn’t feel right to you about these teachers, in which case you are right to avoid this course! Stick with teachers and courses that resonate with you, but don’t judge a teacher as being a charlatan just because they are charging more money than you are willing to pay. I’m interested in becoming an oracle card reader. I have alwayd been drawn to them, at first it was just curiosity but after a dream I had with Oracle cards in them I purchased Doreen Virture’s Arcangel oracle cards because that’s what showed up in ny dream. After playing around with them the past couple days and affirmation from the cards I believe I am meant to be a reader as well use them with crystals as I am a crystal child. I feel very connected to them and in my dream I think I was the gypsy reading the cards. My question is, does having a certificate help solidify clientele and give you a deeper understanding. I want to make sure taking this step give me the knowledge and confidence to turn this into a career. And what do most people charge for an oracle card reading, I’m just like a curious child at this point and I want to know everything on this subject matter haha. ? Great questions! 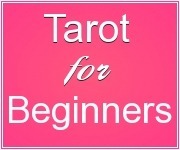 Yes, this course will deepen your understanding of tarot and oracle card reading – at least it did for me. 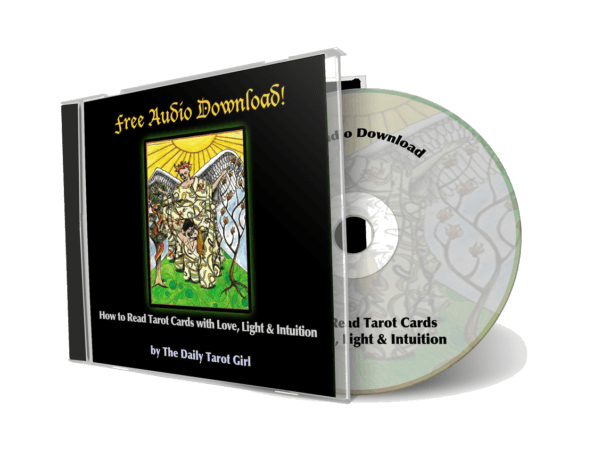 Will this course help you turn card reading into a career? It will certainly give you the confidence to but it is not a comprehensive step by step class on making a business out of card reading. Don’t expect to take this course and then be able to give professional readings once your finished. It takes practice and experience to get to level where you feel ready to go pro, but this course is definitely a step in the right direction! I personally don’t think having a certificate in card reading helps get clients – I didn’t see a spike in clients after I got my certification, although I suppose it makes you look more professional and shows you’ve invested in yourself as a card reader. As for pricing – just have a look at other oracle card readers websites to get a general idea – it tends to vary. At fairs and festivals where I live I see readers charging around $20-50 for a reading. Hope that helps! Hi, Kate! I’m planning on taking this course. Will it help me get clients in the future when the times comes that I can confidently read for other people? This post is good. Thank you. I see! So, do you recommend this course to a newbie, then practice? Or is this mainly geared towards intermediate readers? 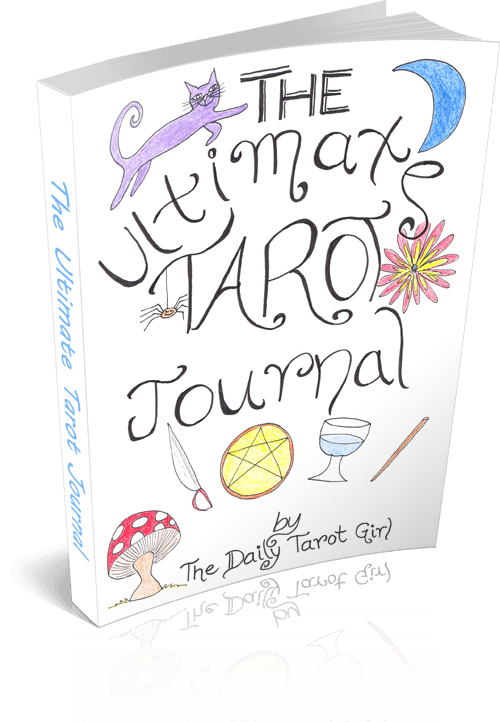 It is definitely geared toward beginning readers, although I had been reading Tarot for years when I did it and I really enjoyed it. Actually, chances are both “bleh” and “blah” are acceptable forms of the vomit sound effect. Both can refer to a state of boredom, depression, and dissatisfaction. As for the vomit sound effect, what it boils down to linguistically is dialect and location. For example, where I’m from, “blah” and “bleh” can refer to boredom/dissatisfaction, although there can be a slight difference in meaning, whereas “bleh” is strictly used for the vomit sound effect. It’s the whole “To-MAY-to/Po-TAY-to” vs. “To-MAH-to/Po-TAH-to” debate. In actuality, both pronunciations are considered correct linguistically. There is a term for this phenomenon, but the name eludes me as it has been some time since I have studied linguistics. I wasn’t meaning the vomit speak BLAH. Doreen cleverly uses BLAH as in, just blurt it out like a vomit, BUT, it’s an acronym for Be Loving And Helpful. Kate, congrats on your certification! Like all courses of study, titles and pieces of paper mean little compared to real world experience. Which you have in spades! I soooo did not want to tell her this, but I always follow my intuition. I told her and was surprised to hear that she and her father had an agreement that she be there at his side at death so she could finish his research on what happens to the body when the spirit leaves it. But, she disagreed with me. Her father was in perfect health and there was no way he was dying anytime soon. A week later she called me to tell me that her father had died only 2 days after our reading. She barely made it to be by his side at death. She got there a few seconds before he took his last breath. I NEVER predict death for anyone but this was the only time because my intuition was screaming at me. I haven’t thought of that reading in many, many years, so thank you for stirring the pot Kate. Thanks for sharing I really liked it. Thank you Kate for sharing this! I have Doreen’s angel therapy handbook and was wanting to take her angel therapy certification course as well. It’s expensive and I am not sure I will be taking it. When I say the Hay House courses I was interested but I do think Doreen’s Courses are more suited to beginners and they help to give you confidence about your path and doing readings. I have that Angel Therapy book as well. 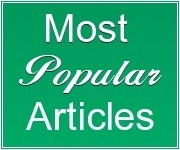 Its a good one – but yes, the material is definitely well-suited for those just starting out with a spiritual business. Thanks for sharing. I agree with you that the course does not prepare you to step into the real world and do professional readings, particularly if this is your first course. But as you said, it is a nice jumping off point so you want to learn even more. Did you take the advanced course as well online? I got to listen to part of the advanced course, but didn’t officially do the course. And yes, the trademark symbol is actually really nice to have, I think! I really like your review of this experience. It made me laugh (the sweat part) but also gave me a very grounded sense of the pros and cons of this certification program. I was so happy to hear about what you thought was valuable and what needed, perhaps, more development. Thank heavens, I have you! Hugs, you little CARC, you. Yes, I agree Jamie – I usually assume someone with a certificate has done tests and had experience and all that. But it isn’t always the case – I think that it just goes to show that just because someone is certified, it doesn’t really mean anything. I think this applies to all kinds of certificates, not just this one! I agree as well. Did you have to do readings with each other or did you just listen to Doreen all day? Also were you in the hall place when she did her weekly read? I’m being toooo nitpicky, but it’s CACR. :-p I just looked at the Facebook page for the course too. I need to save up some money so I can do the online course! I feel really happy for you that you could go in person! I agree with you which is why I’m still studying. 🙂 I didn’t feel it was enough but it did excite me to a point that I wanted to learn more so I did some research online, ordered a few books and have been learning more. I would like to sign up and take a few classes near home as well. Btw..I took the online course. I did 1 lesson a week and did practice readings daily on friends and/or family. I like the idea of the “bleh” but for some people, I FEEL, the info is best given less blunt. Even when the info didn’t make sense to me it made total sense to the person I was reading for. And if something didn’t make sense at the time when it would happen then they think back to the reading and understand. Love it! Oh I like to have music on while reading (but on low volume) and feel guided to say something from song playing and the readee would say “omg, yes that’s true!” So I like the idea of using everything you hear, see, smell around you as part of the reading. Erica – you bring up a really good point about the “bleh” – I think sometimes we try to reinterpret the direct info we are getting in a reading because it doesn’t make immediate sense to us, when really, if we refrain from doing that, we can give a better reading – since often it makes sense to the person being read for. I sometimes forget this! I love listening to music in the background as well 🙂 And I think doing the online version of the course, like you did – with time in between classes to practice and absorb the info – is way better than cramming it all into a single day. I had to laugh at the comment of “Let all information come to you, don’t let ego tamper with it”. Why are her decks “safe” and what if you get “nasty” information like stuff the person just doesn’t want to hear? if you know the person won’t want to hear it, why? It sorts of goes against all the ethos of her decks!!!. I know! I thought that too! Personally, I can’t give a totally uncensored reading and keep it 100% positive. I am still a young un in the reading department, and I am still like, “should I say that?” but if it has come to you, it has done so for a reason!! Thank you for sharing your experiences with us! I’m with you concerning the online course: I would feel invaded in the presence of hundreds of people, and we can never really know about their energies…! Yes, all the energies in the room were pretty powerful – although I have to say everyone I met that day had lovely energy – people were so friendly! It was actually quite nice, even though I hate crowds.